Say “I do” once again. 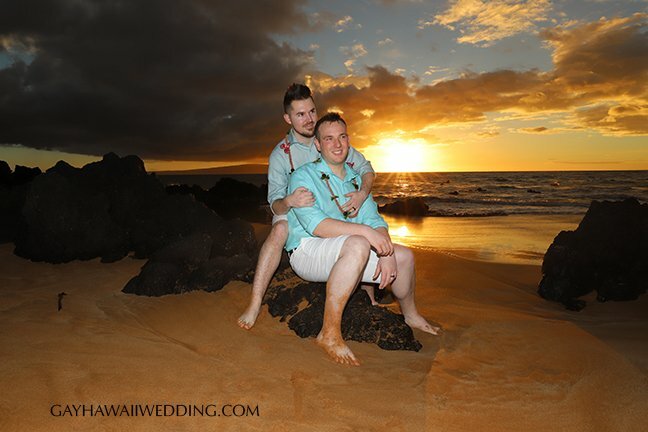 Renew your vows on Maui. What better place than Hawaii to say once again “I Love You”. 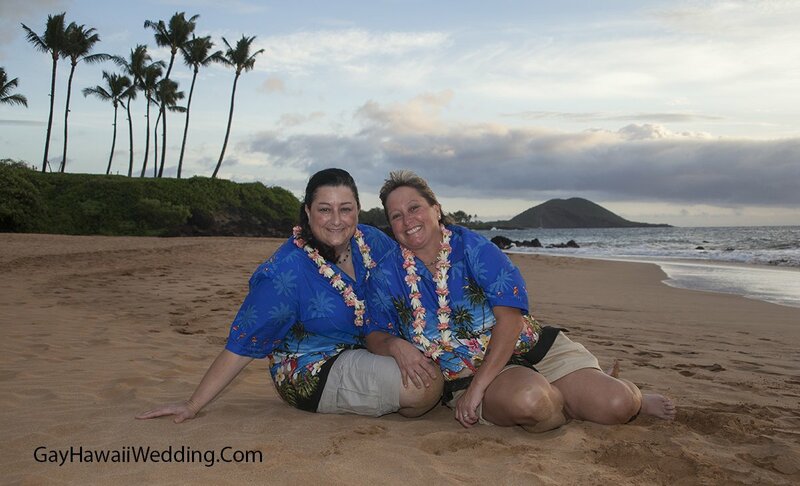 Celebrate your love for one another on Maui, renewing your lives together. 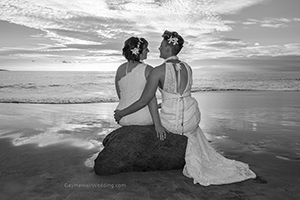 Couples renew vows for many reasons be it an anniversary, a fresh start in the marriage, or just a desire to be romantic. You may select the location. If you have any questions please do not hesitate to email us. Or please call us toll-free at 800-859-0072. 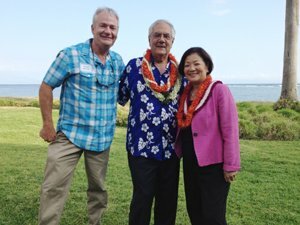 Local and international call 808-891-1208. Outside photographers are not allowed. If you want a pro photographer select packages 2-5. For groups over 17 guests, additional fee of $150. For a-la-carte additions, see bottom of this page. 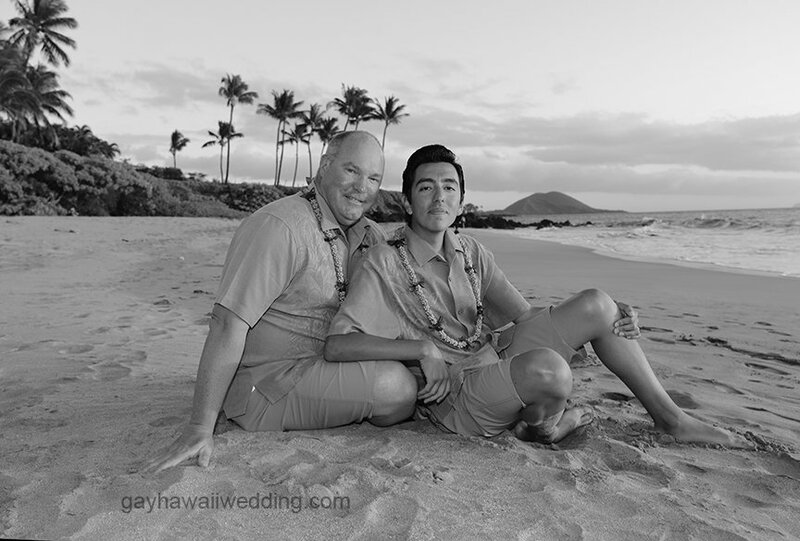 • 30 High Resolution Professional Wedding Portraits taken after the ceremony by officiate (who is a professional photographer licensed by the state to also perform wedding and vow renewal ceremonies on Maui). • Thirty high resolution photographs provided via digital download, ownership letter also provided at no additional cost. • Forty high resolution photographs provided via digital download. Photography is at ceremony location up to 1.5 hours. • Additional photography upgrade and prints of images available upon request. • Professional Videographer. Provides fully edited digital download with music and titles. Include photography in your package especially if your children will be there and capture some fantastic family portraits in paradise!